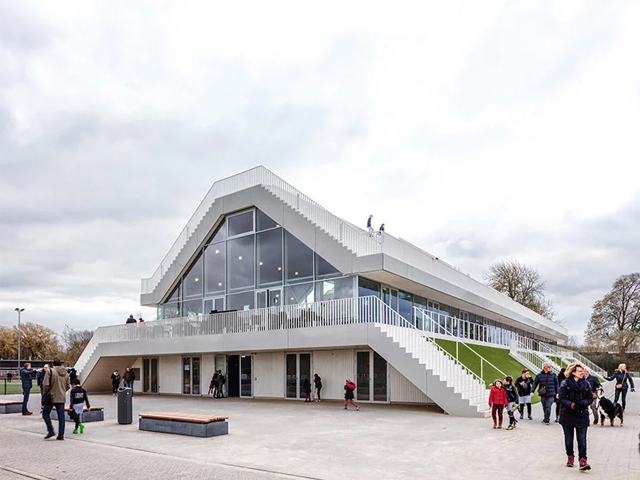 A renovated sports field in the northeastern suburbs of Paris is the result of a design collaboration on behalf of NIKE as part of a widespread initiative to engage the local community. 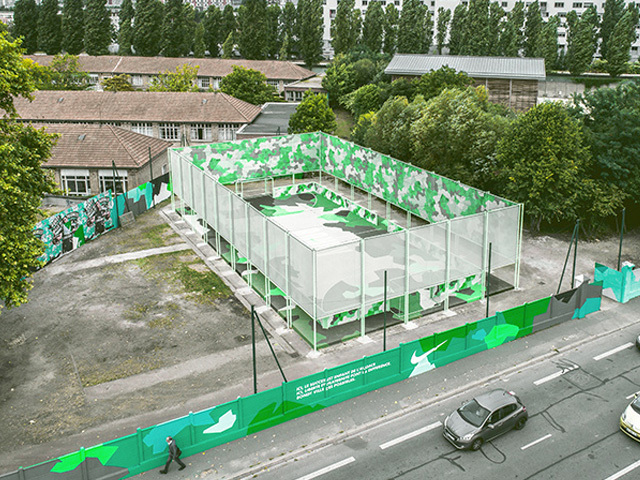 Designed by Laisné Roussel and Midori Hasuike, the Bondy Pitch project is the centrepiece of a NIKE program that seeks to encourage locals to interact through physical and social activities within their neighbourhoods. 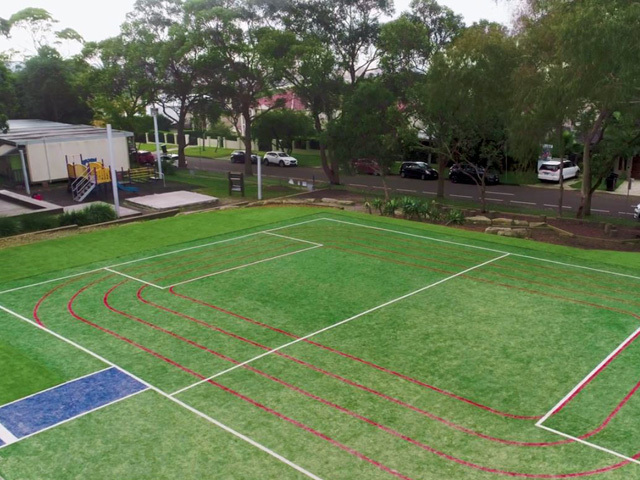 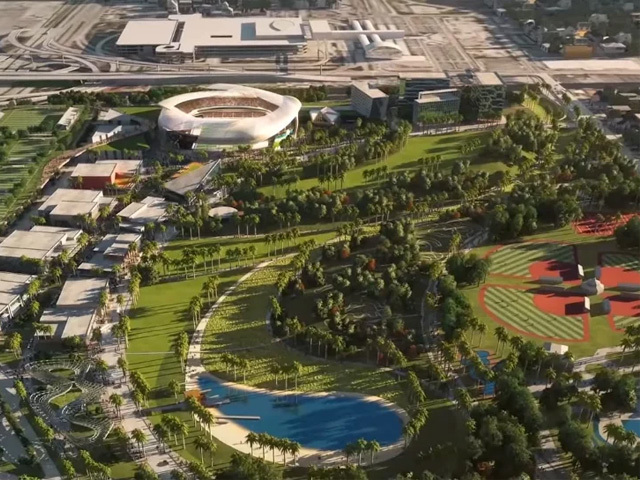 Conceived as an ‘energy container’, the renovated playing surface is seen as an arena for the community’s young people to express themselves creatively. 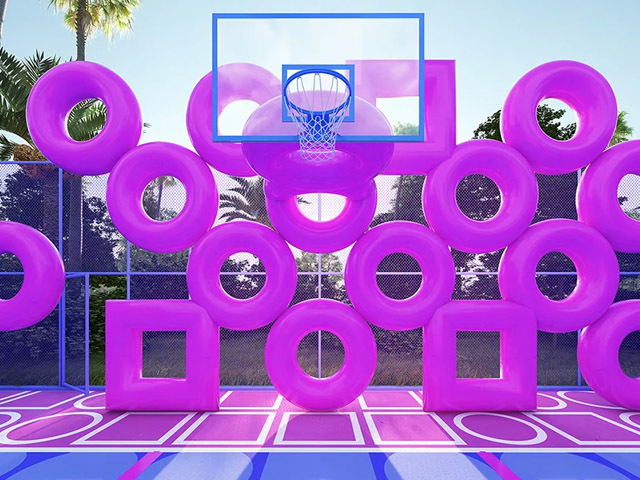 Starting from the field itself, a consistent visual treatment expands to the surrounding space creating a strong identity. 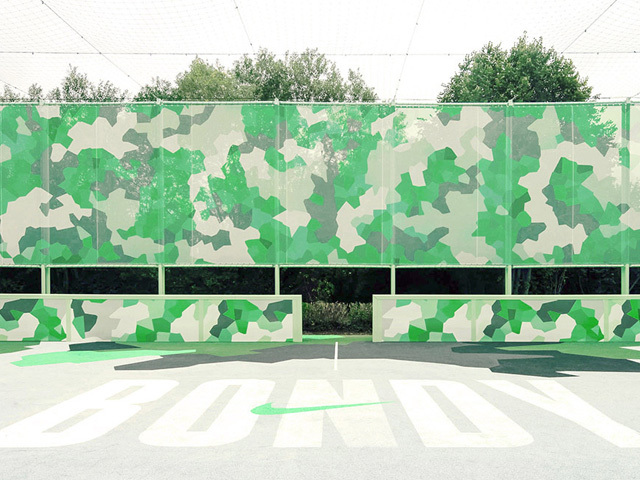 The scheme’s primary colour is green, (the colour of Bondy), while the abstract camouflage pattern reflects the concepts of challenge and confrontation. 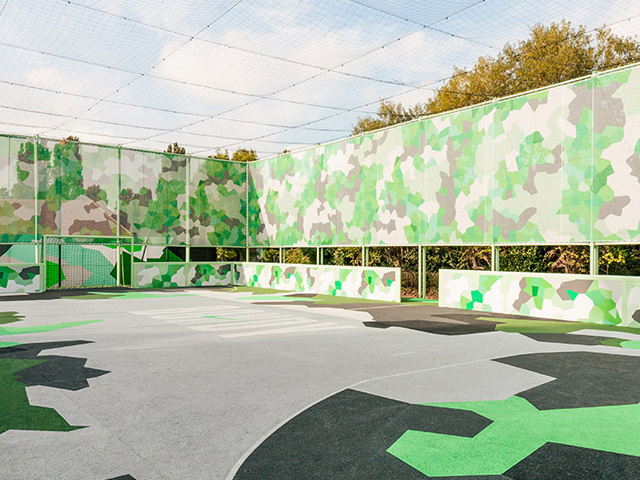 Visible from the street, the camouflage leads to the arena, inviting passersby to join in. 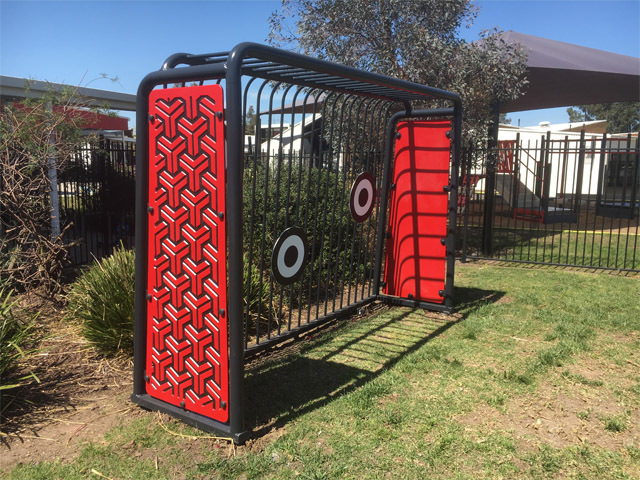 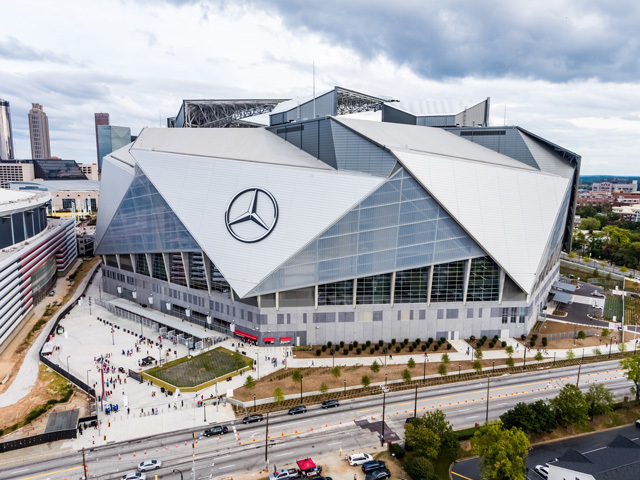 “The three-dimensional feature makes it recognisable from the street, generating curiosity and providing a landmark in the suburban landscape,” explains the design team. 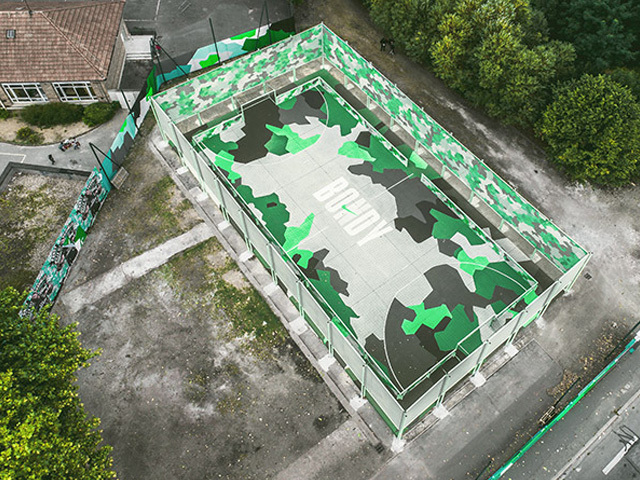 The project was also the setting for Play Bondy, the NIKE event that celebrated hometown hero Kylian Mbappé — the French footballer who grew up in Bondy.